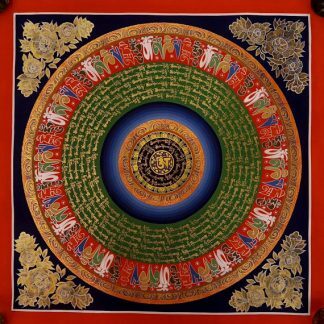 This is another variation of Om Mantra Tibetan Thangka Painting. Place it in your meditation room or altar, decorate your living room to make it a spiritual one. 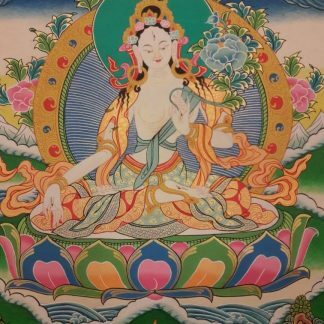 It creates a peaceful environment and inspire you to be more compassionate kind and even encourage you to do meditate or do your prayers with even more dedication and grace. 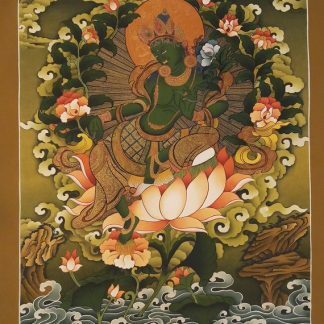 This thangka is hand painted by a Lama artist in Nepal. 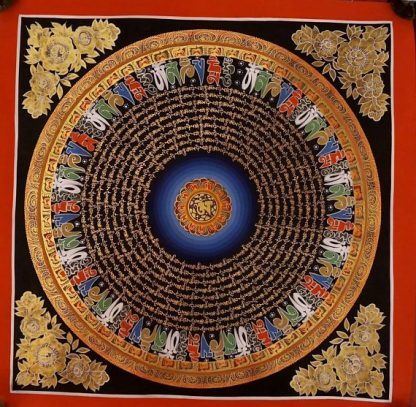 This thangka can be brocaded also. We have varieties of silk brocade too. Please feel free to write to us. 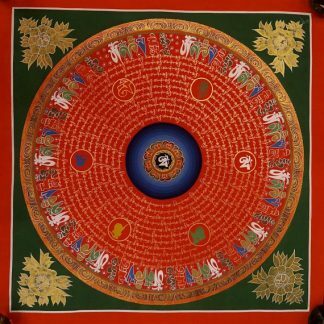 Generally it is believed that by chanting mantra it brings peace, love and luck in your life. 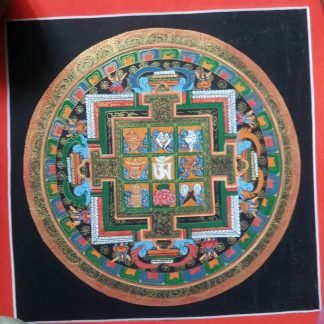 However, Tibetan Buddhist take it as a form of meditation. 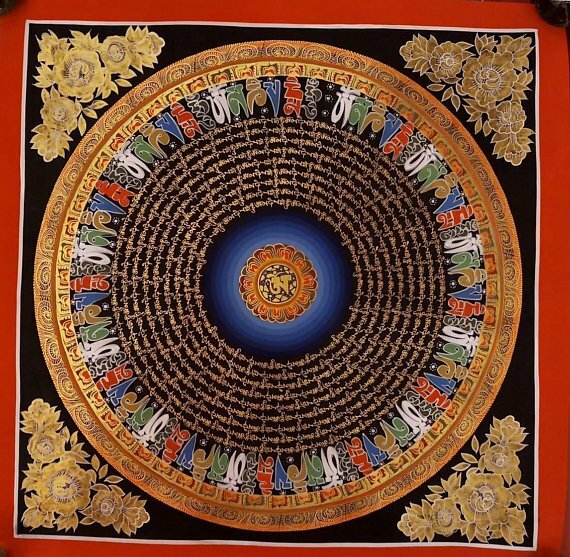 They chant it to concentrate and increase their “Samadhi” power to focus or concentrate in your mind while you meditate or pray. 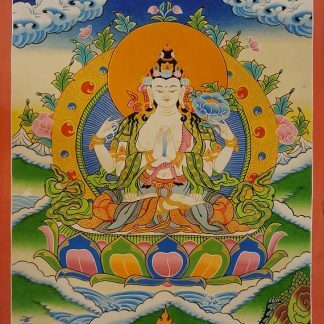 Oṃ maṇi padme hūṃ (Sanskrit: ॐ मणिपद्मे हूँ, IPA: [õːː məɳipəd̪meː ɦũː]) is the six-syllabled Sanskrit mantra particularly associated with the four-armed Shadakshari form of Avalokiteshvara (Tibetan: སྤྱན་རས་གཟིགས་ Chenrezig, Chinese: 觀音 Guanyin, Japanese: 観音（かんのん） Kannon or Kanzeon, Mongolian: Мэгжид Жанрайсиг Migjid Janraisig), the bodhisattva of compassion. 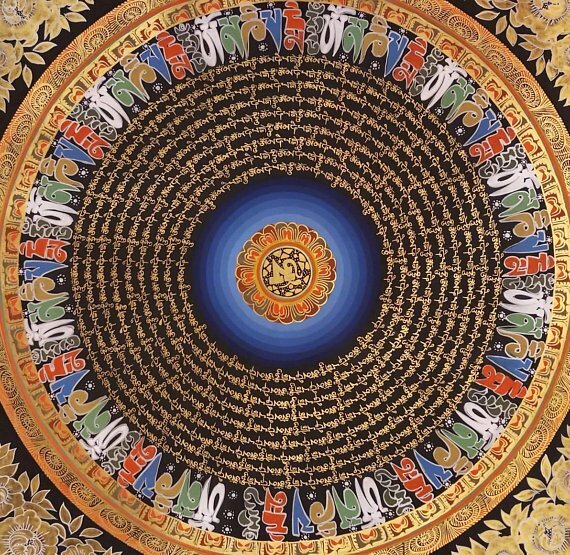 The first word Om is a sacred syllable found in Indian religions. The word Mani means “jewel” or “bead”, Padme is the “lotus flower” (the Buddhist sacred flower), and Hum represents the spirit of enlightenment. It is commonly carved onto rocks, known as mani stones, or else it is written on paper which is inserted into prayer wheels. 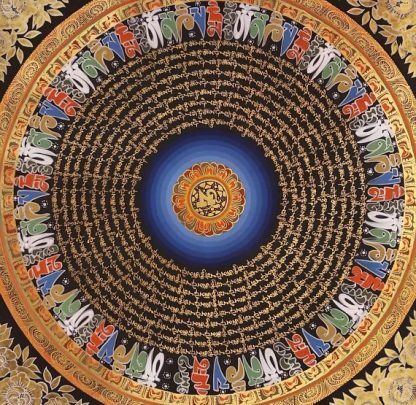 When an individual spins the wheel, it is said that the effect is the same as reciting the mantra as many times as it is duplicated within the wheel. Go ahead and grab this opportunity now and purchase with confidence. 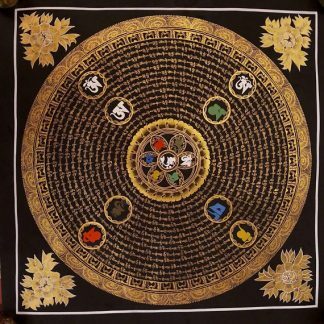 Get this awesome piece out along with other handmade Tibetan charms. Free shipping! on bulk order. If you have any questions please feel free to write to us. P.S. We ship this pendant via Express Mail Service, Nepal Government Postal Service which will take around 4 to 7 days depending on the destination. Why does Buddha have long ears? Types of Buddha Statues According to Material Composition. Buddha Statue-A symbol of peace and enlightenment. Benefits of Meditation-1000 reasons to meditate. Please type your question or message below. We will be right back. Please mention Qty you need below along with your custom requirements if any.